A tribute to the tram lines 3B and 3T in Helsinki, Finland. In the 22nd of March, 2013, at 8pm it was −10°C outside. Inside the mitten there was embroidery 3B and its pair had 3T in it. 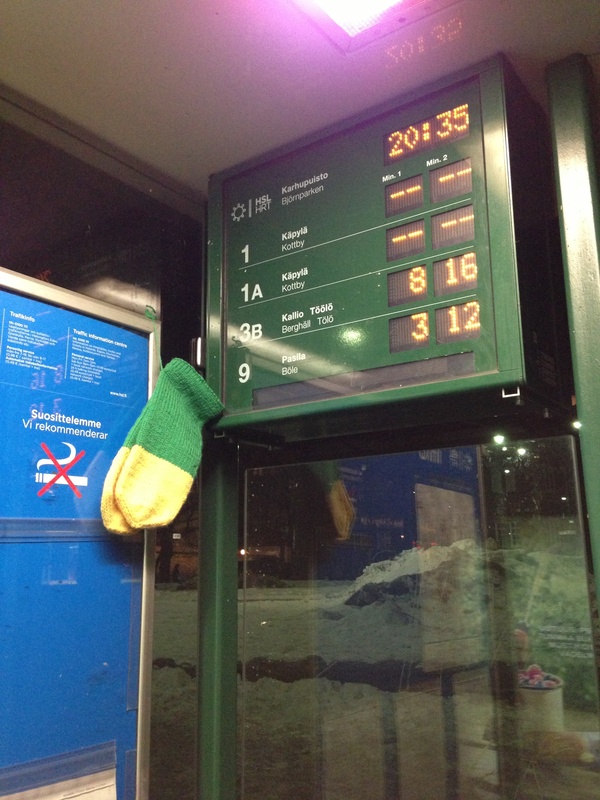 Two pairs were left in trams that moved towards the centre of Helsinki and one pair continued towards Töölö. 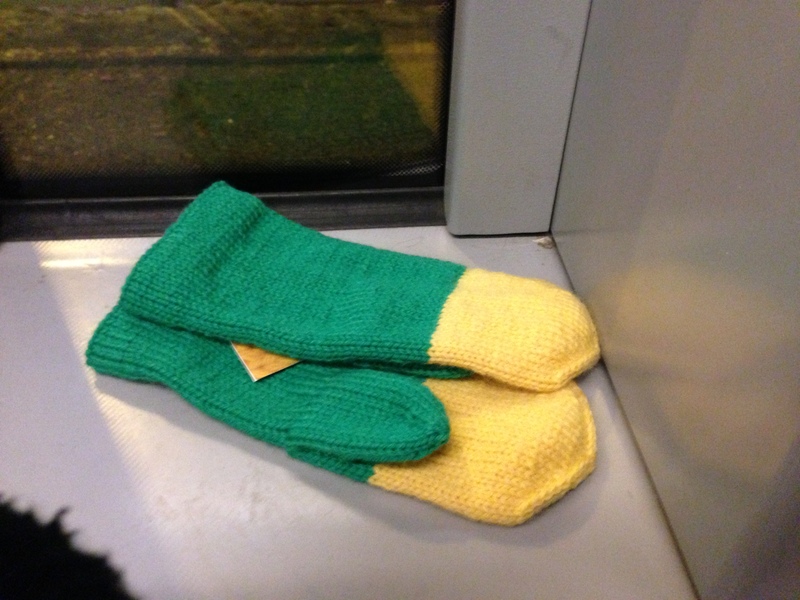 One pair was left in a tram stop Brahenkenttä and the last pair I left in Karhupuisto tram stop.